Eyeliners make a huge difference to my makeup, it's the thing that "seal the deal" for me. Due to the fact that I have single eyelids, eyeliners are a great help in terms of making my eyes look larger and rounder. Should you face the issue of having an eye smaller than the other, eyeliners will help to balance out your eyes or elongate your eye shape. 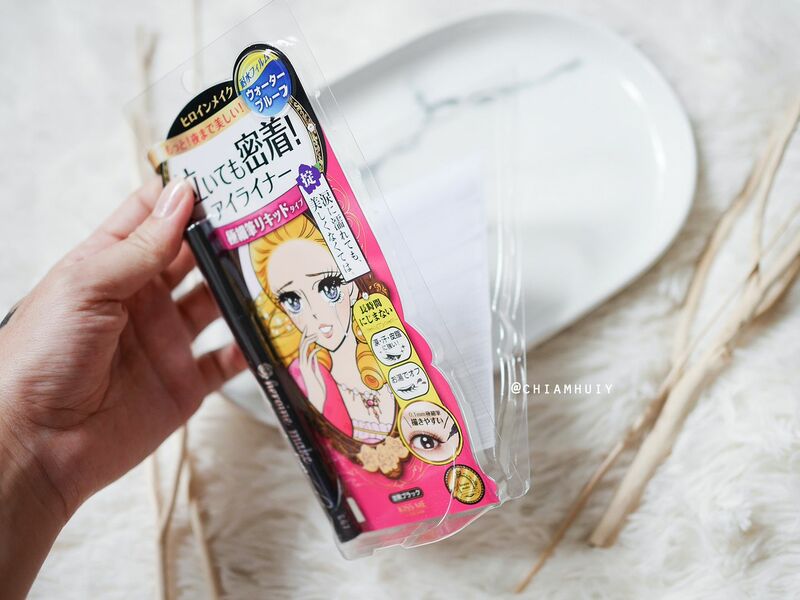 We have all heard of Heroine Make’s makeup, with its iconic anime princess character and their powerful waterproof eyeliners and mascaras. Let's put them to the test shall we? 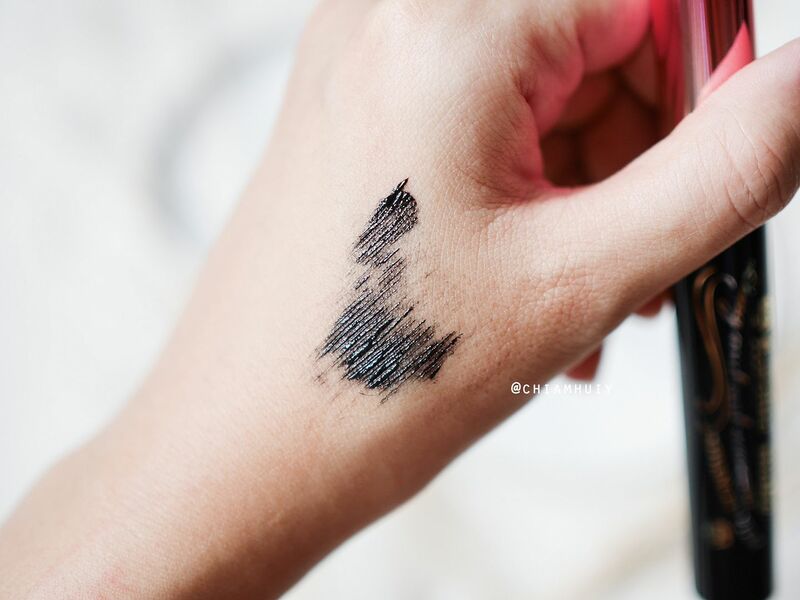 One of the cult favourites from Heroine Make cosmetics is none other than their Smooth Liquid Eyeliner. 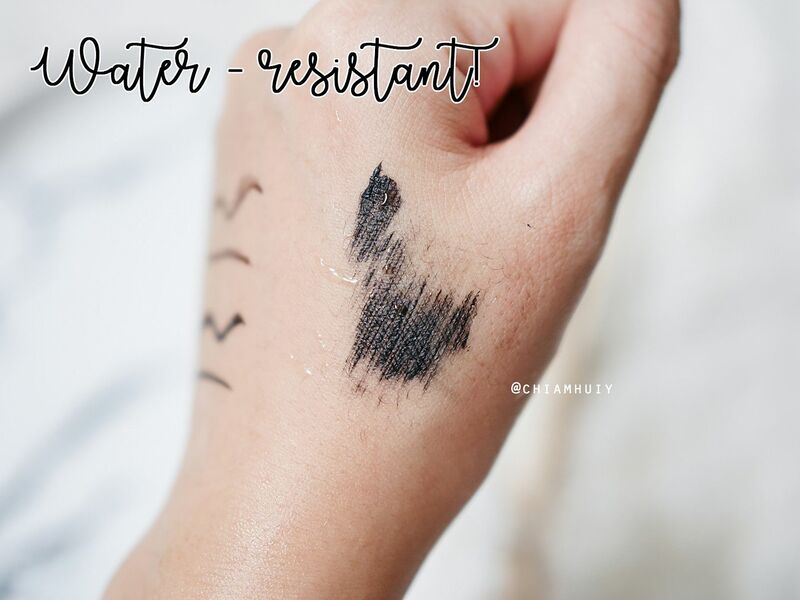 They’re known to be smudge-proof, water-proof, tear-resistant, and sebum-resistant and can last up to 24 hours. 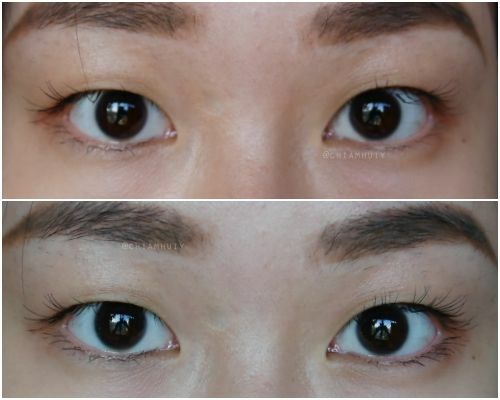 No kidding, these eyeliners are that long-lasting. They are also infused with beneficial serum ingredients to care for your lids at the same time. 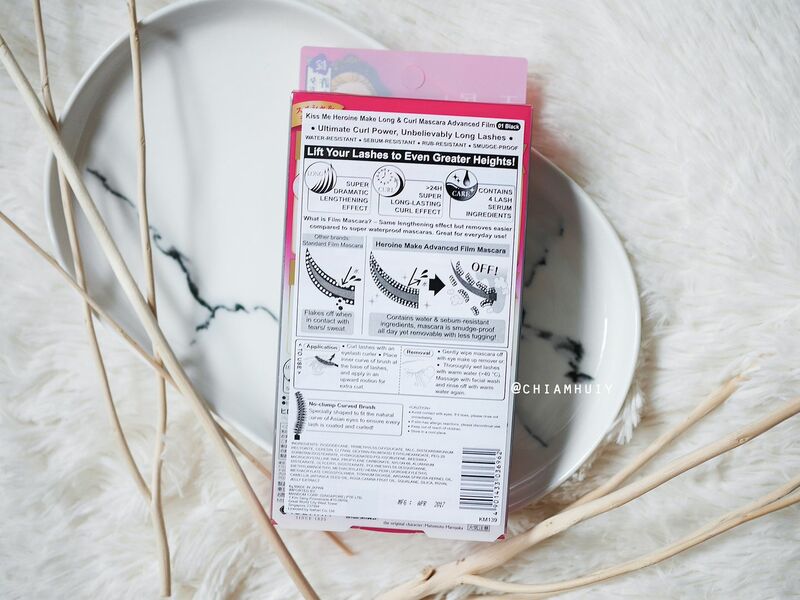 The ingredients include Collagen, Hyaluronic acid, Rosehip Extract and Panthenol. Their packaging is extremely easy to open as well, you don't even need a scissors. 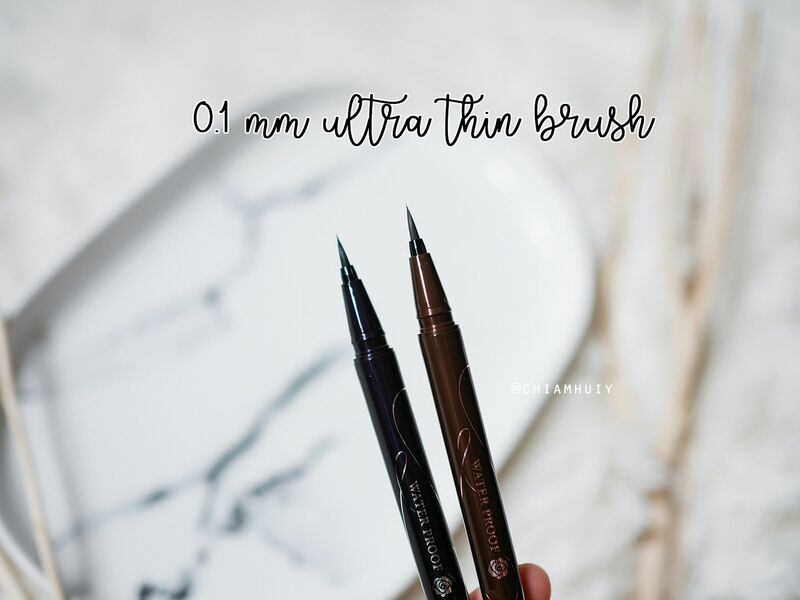 These eyeliners have 0.1mm ultra-thin brush tip so that you can draw really precise lines and get that perfect wing. 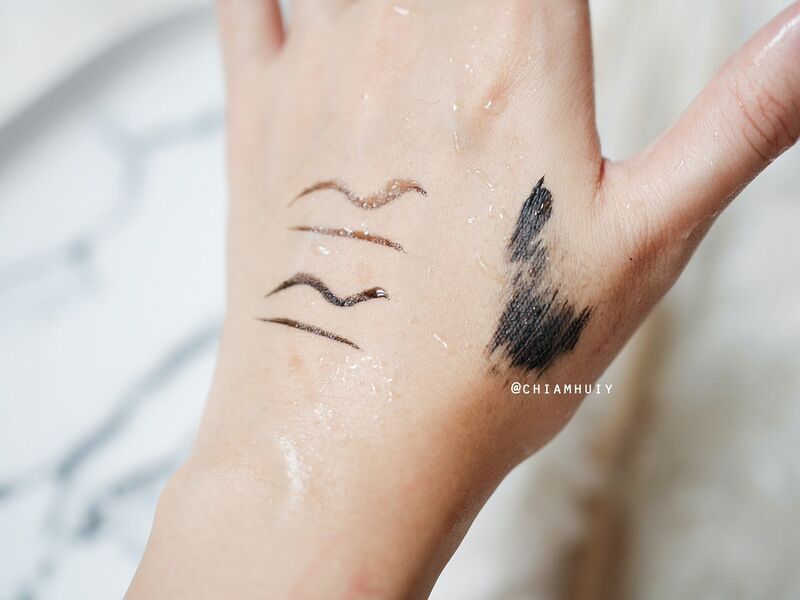 Let's put the eyeliners to the test! As you can see, the Smooth Liquid Eyeliners really live up to what they claim. 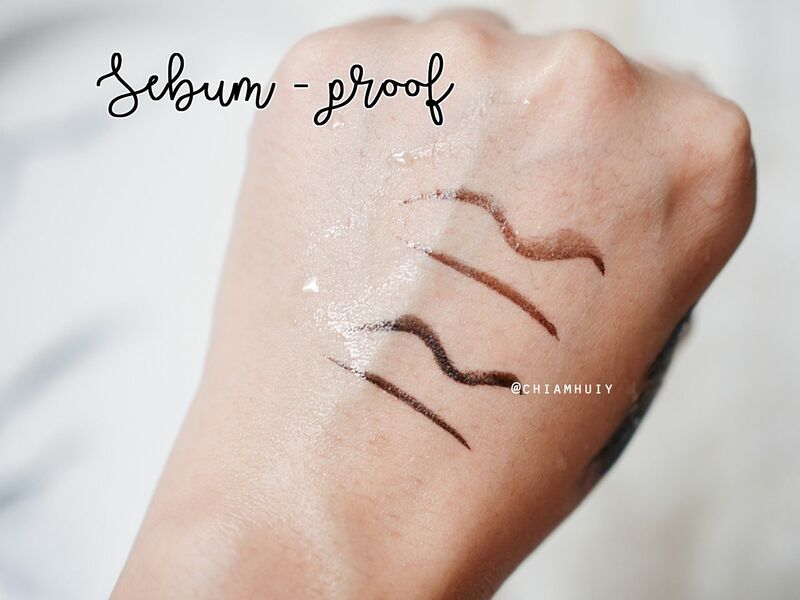 After testing it with water and oil (I used a little bit of olive oil to mimic our natural sebum), it is still intact! 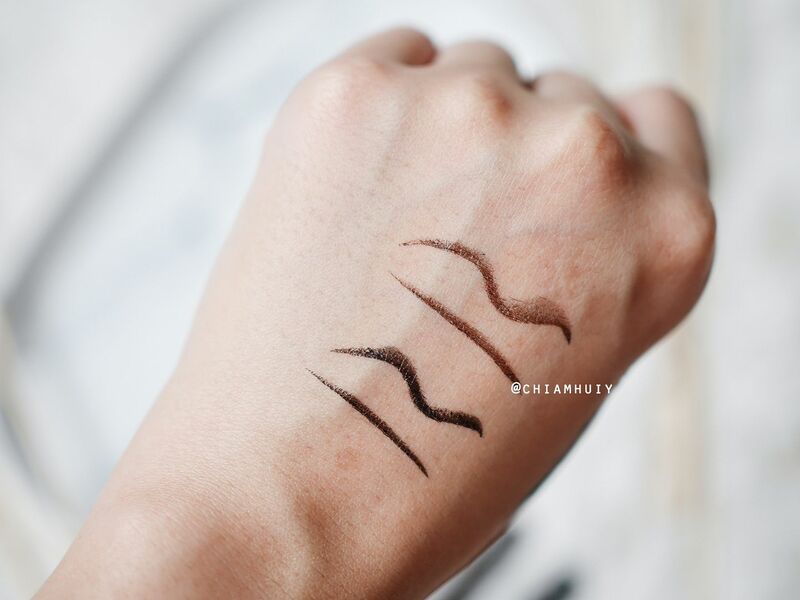 Using eyeliners of different shades (black or bitter brown) can help to achieve different looks easily. 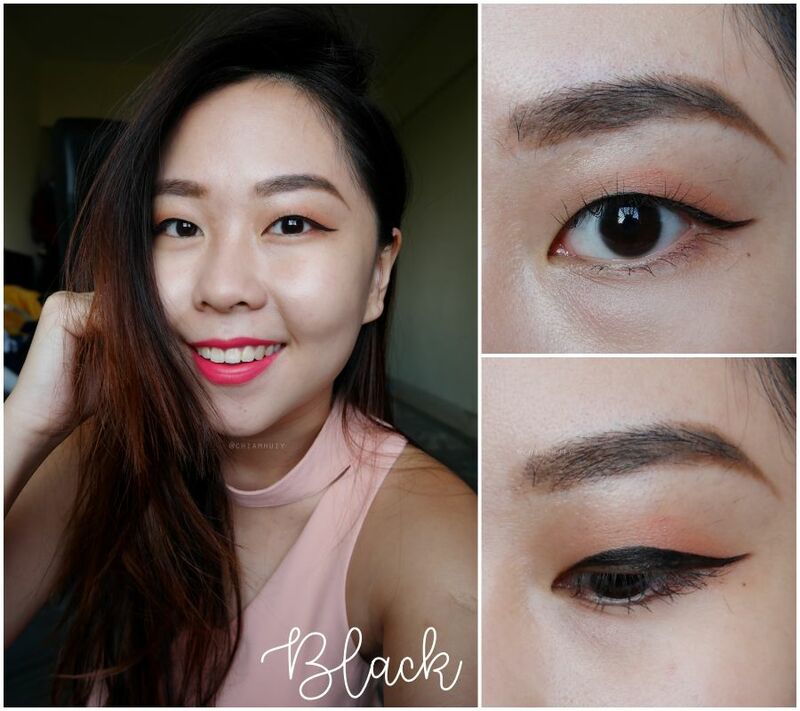 Use the bitter brown eyeliner to achieve a soft natural look, or a black eyeliner to get an edgy bold look. 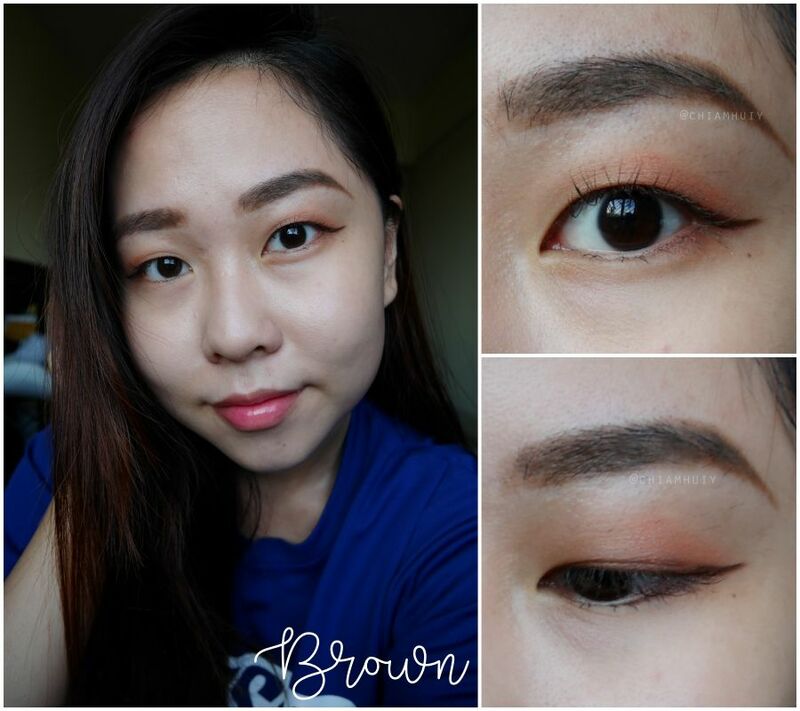 Notice that when I use the bitter brown eyeliner, I only draw a short wing at the outer corners. For the black eyeliner, I would start from the inner corner along my entire lash line and thicker in the middle so that it doesn’t get hidden by my single eyelid. 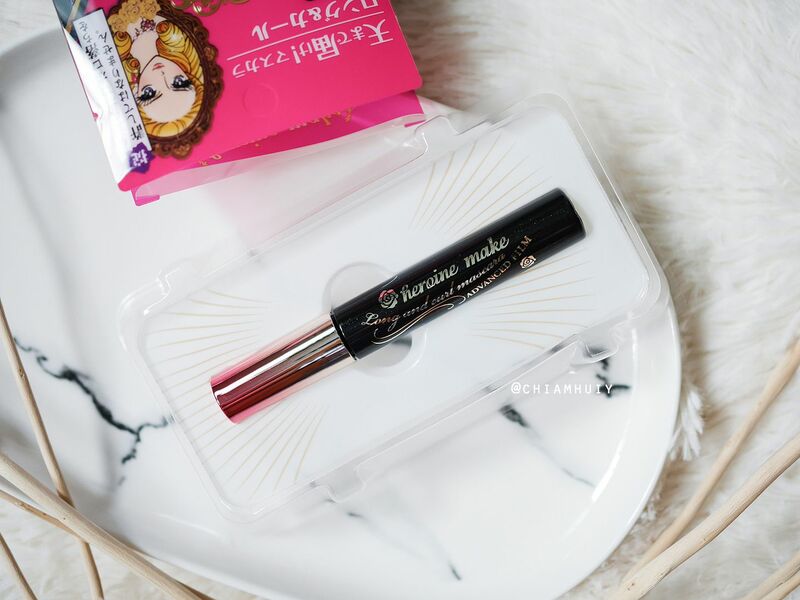 The other bestseller from Heroine Make is definitely their mascaras. 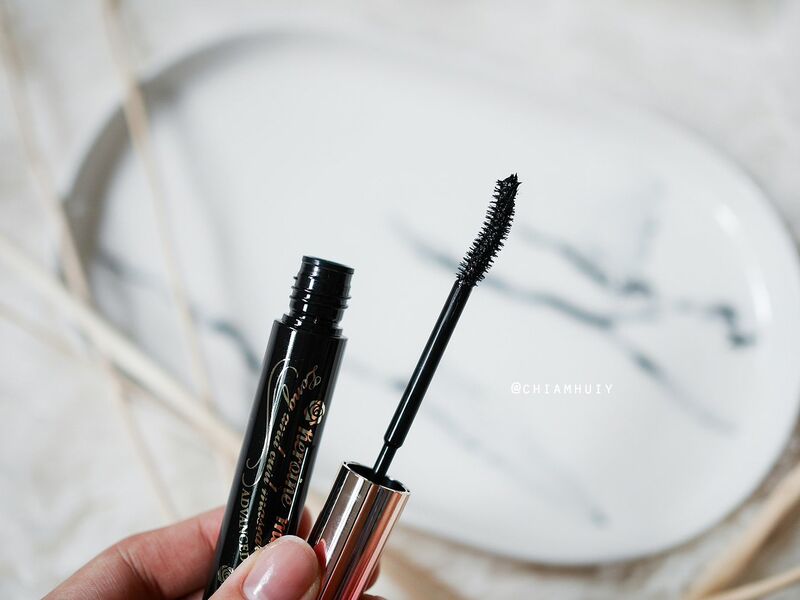 Luxurious long lashes, who doesn't want them? 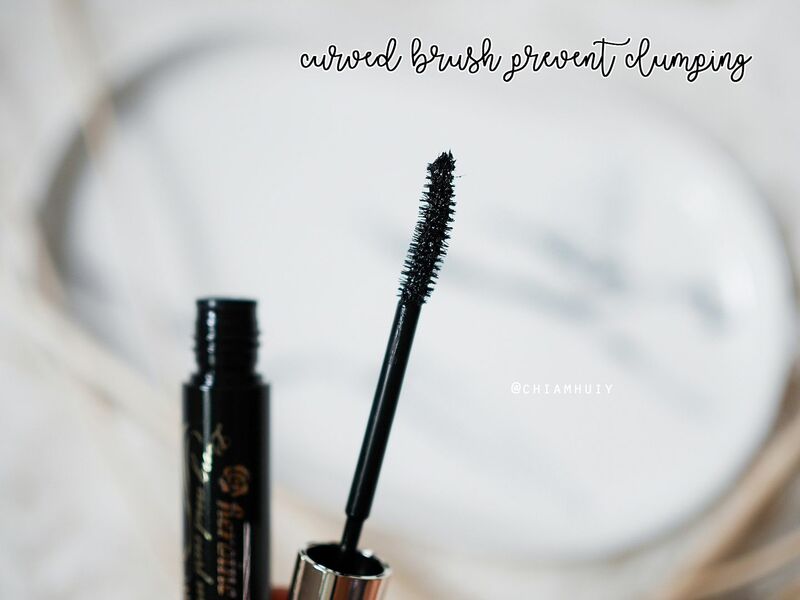 This Long & Curl Mascara Advanced Film is water-resistant, sebum-resistant, rub-resistant, smudge- proof and creates long beautiful curls that last for more than 24 hours. The unique brush shape is great to keep your lashes separated as well. 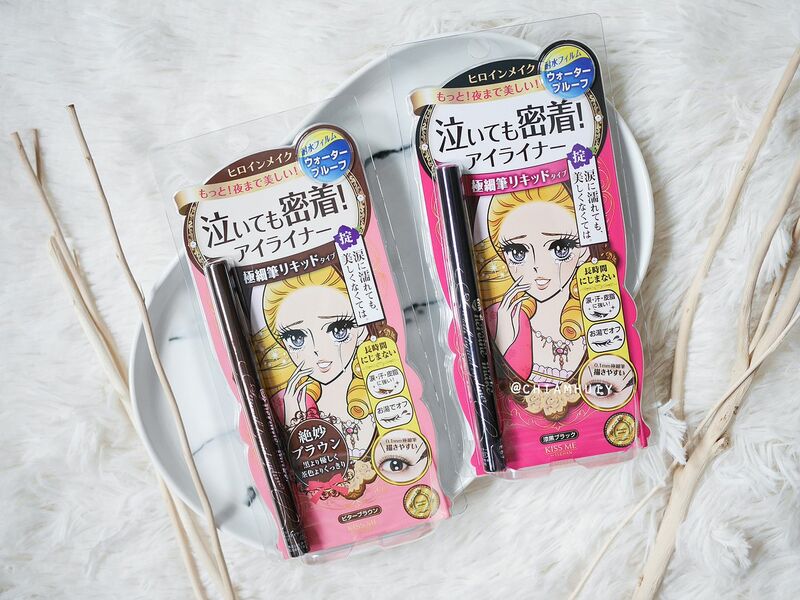 Similar to the eyeliners, the mascaras are smudge-free and waterproof so you don't have to worry over panda eyes, even when you cry! NOTE: I have to apologize for the inadequate comparison because part of my eyelash extensions is still there. Nonetheless, you can still see how the mascara works wonder on my lower eyelashes! It's pretty obvious for my left eye too (your right side as you view the photo).